After six years of war, it is difficult not to picture a country in total ruin when peace finally comes to Syria. Rebuilding after the carnage and devastation seems like an unimaginable task. Yet behind the scenes, archaeologists and other scholars across the world are working to save the remains of Syria’s ancient heritage. Among the many issues that face heritage preservation in Syria is the illegal antiquities trade. Many of the factions involved in the Syrian civil war have turned a blind eye to this trade or even took part in it , notably ISIS (Daesh) and the Assad regime. This suggests that there will be no easy solution to this dimension of the Syrian crisis. But far away from Syria, one university is trying to shed light on some of the possible solutions. Melbourne University’s Ian Potter Museum of Art is currently hosting an exhibition that focuses on that very challenge. Syria: Ancient History – Modern Conflict  (سوريا: التاريخ القديم – الصراع الحديث) “explores three decades of fieldwork conducted by The University of Melbourne in Syria within the context of the current conflict and destruction”. Archaeological tools. Top photo with permission of Andrew Jamieson. Bottom photos are by the author. 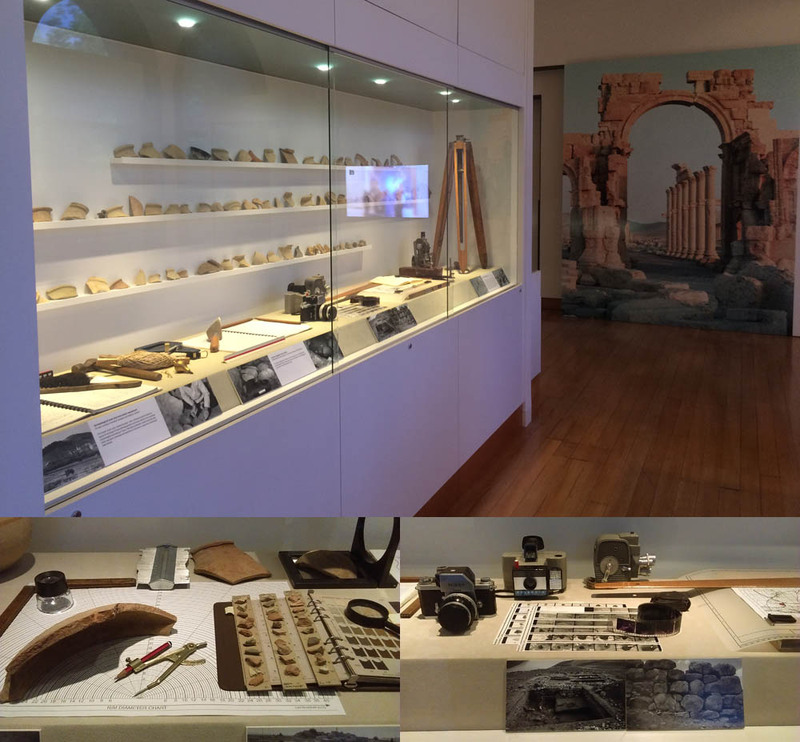 As well as numerous artifacts, the exhibition includes a collection of archaeological tools and record-keeping devices. Some of these are of historical significance themselves. 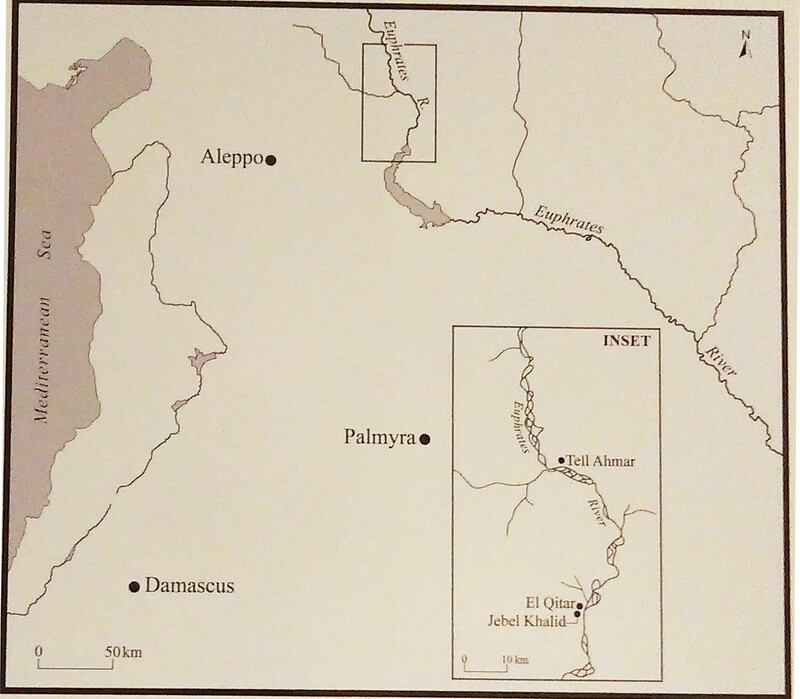 In a public lecture with the same title, Professor Andrew Jamieson, senior lecturer in Near Eastern Archaeology in the School of Historical and Philosophical Studies, reflected on his decades of work in the Euphrates River valley at sites such as El Qitar, Tell Ahmar, Jebel Khalid and Tell Qumlug. Before the war, Jamieson was part of attempts to preserve the vast collections that already existed. 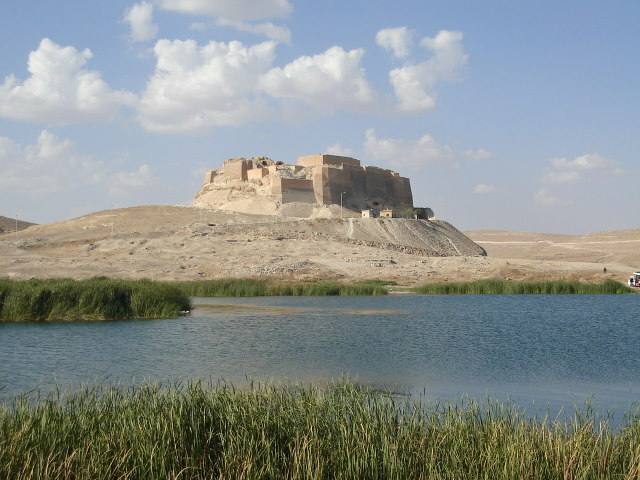 In 2010, a collaboration known as the Syrian-Australian Archaeological and Historical Research Project was being developed to establish a repository at Qal'at Najm’s castle  in Syria. He stressed the vital importance of producing material in Arabic. He also gave an overview of the work of SHIRĪN , an international body that aims to preserve and safeguard Syrian sites, monuments and museums. Formed in 2014, it tries to document and assess reported damage. Some scholars were concerned that little was being done despite the existence of 140 foreign excavation permits before the outbreak of war. Professor Jamieson stressed that it is vital for permit holders to remain engaged. Tasks such as paying guards of these sites, for example, where possible are “a last line of defence”. The challenges are daunting: the much-publicized deliberate destruction of monuments by ISIS; widespread looting for the illegal global market by different groups; collateral damage caused by artillery, bombing and the like by the Assad regime or rebels; or even simple but unavoidable neglect. Some of the proposed solutions are contentious and the role of digital archaeology is a key issue. 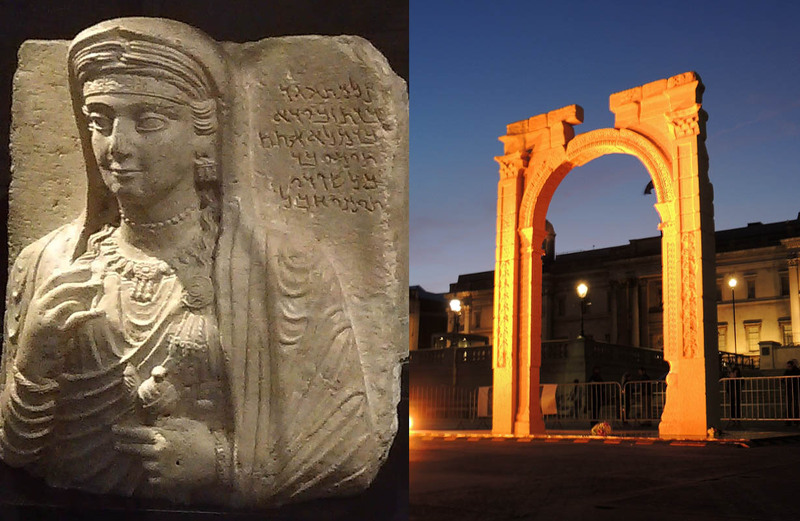 For example, the replica of Palmyra’s Arch of Triumph  in London in 2016 raised some misgivings. According to Professor Jamieson, there are concerns about the possibility of digs becoming part of a “digital Disneyland” if replicas are built on the original sites. We should not allow hostile groups of any kind to define the apparent cultural background of a nation, a country, of any kind of site. […] It's not really a matter of whether or not we should copy. It's really a question of how do we copy. But many argue that 3D printing fails to capture the authenticity of the original structures, amounting to little more than the Disneyfication of heritage. They also point out that the fighting is still ongoing: 370,000 Syrians are dead, millions are displaced, and perhaps 50%-70% of the nearby town has been destroyed. Given the pressing humanitarian needs, stabilisation alone should be the priority for now. The role and responsibilities of archaeologists were among the themes addressed by Professor Jamieson, who suggested an ethics charter as one way forward. This is all the more important given the high risks taken by Syrian archeologists. The death of Khaled al-Asaad , renowned Syrian archaeologist, at the hands of ISIS in 2015 provoked a global outpouring of grief. Al-Asaad was executed for apparently refusing to divulge the whereabouts of artifacts moved for safekeeping. One thing is clear: while Palmyra may hold great significance to the world, the final decision should belong to those who have lived alongside it, cared for it, managed it, fought for it, and protected it for generations: the Syrian people.